It has been awhile since we have had a post, but being busy has not stopped me from continuing to contribute more to my LendingClub account. 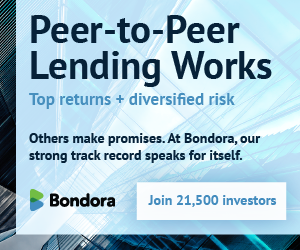 There have been lots of discussion on the Lend Academy Forum* about institutional investors using automated tools to get the best of the best notes. The notes are gone almost immediately and leave just the scraps for people like you and I.
I completed putting $500 into notes using Interest Radar and have exceeded $500 into my p2p-picks portfolio. I have had some luck with logging into p2p-picks and refreshing the page constantly at the times notes are posted (just a few minutes after 6 AM, 10 AM, 2 PM and 6PM Pacific Time). Once posted, I click “go” on all of the top 1% and 5% notes in hopes they are not fully funded. Usually I picked up between 3-5 each time after reviewing which ones I actually wanted to invest in. For now, I am trying to continue to add funds as I can as I don’t know how much longer I will be able to get high quality notes. I also know that Brian has had some luck with the auto-invest feature of InterestRadar. It may eventually come to just choosing the best notes that are left using tools and custom filters based on note history. Brian and I are also hoping to have some visualizations to share soon, but are working on the technical details. *By the way, I highly recommend the forum as there is a wealth of information from users – from people living in Folio-only states to users with varying investing strategies. If you are wanting to dig deeper into LendingClub, this is where to go.